In case you missed it, last week we launched our new Pro Tips series. It can be totally overwhelming knowing where to start with planning a wedding and everyday our team at Brilliant Bridal gets asked 1001 questions about any and all aspects of wedding planning. While we think we have a pretty good knowledge base and love helping point our brides in the right direction we thought we could really help by getting some of our wedding friends in on the action! 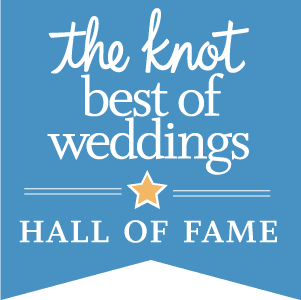 Our goal with this series is to partner with some of the best wedding vendors in Arizona to get you some real advice on how to plan the wedding of your dreams. We'll be sharing the Pro Tips on our blog and all of our social media accounts (FB, IG, T, P) so connect with us wherever you like to hang out on the interwebs. Every bride and groom wants to plan an epic wedding reception. Today, Seth Banda of Banda Brothers DJs shares his tips for making sure everyone at your reception gets on the dance floor and has a night to remember! Be very specific about your playlist and ask your DJ for a wedding checklist so you can pick your songs for every event through the night. Since music is a big part of your wedding and reflects your personality, decide whether or not you're going to let the DJ take requests. Be very specific about your "play" list and "do not play" list. Those are the songs you really, really want to hear and the songs you absolutely don't want to hear at your wedding. Get your playlist to your DJ as early as possible. At the very latest, have all song selections to your music master 14 days prior to your wedding and a full 30 days is even better.